Cambodia. What strikes your mind the moment you hear Cambodia? Phnom Penh, the capital city? The Famous Angkor Wat Complex? Or the cultural aspect of this amazing country? Maybe you might have never even heard of Cambodia (South East Asia). I certainly didn’t know about this country 5-6 years ago and it’s a shame because this country has so much to offer in reality. This is why I have prepared this travel guide to show you what all you are missing out on and how you can fix that now! 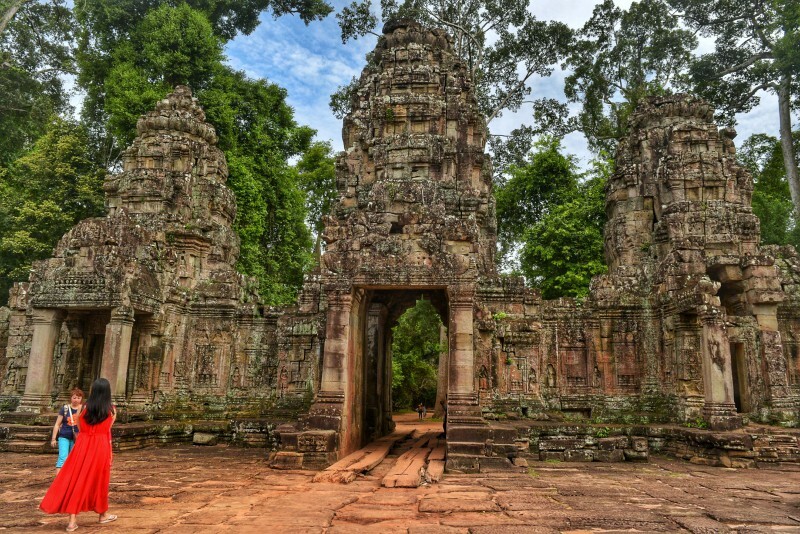 Siem Reap is more popular for its Angkor Wat Complex and the various temple and architectures here. But this place has much more to offer you apart from architectural marvels. You might feel that since this place consists of so much history and culture, there is nothing else to keep you occupied here but that is so untrue. This place is a paradise for anyone who loves to eat or party. You will find that the streets here are quite happening. While it is famous for its magnificent temples, it can also provide you with a place to forget your worries and just dance! Phnom Penh is more famous as the capital of Cambodia. And you might not be aware of much apart from this but this is another city which will surprise you. While the history of this city is not happy, it certainly gives you the much-needed wake up call that you have been avoiding for a while now. 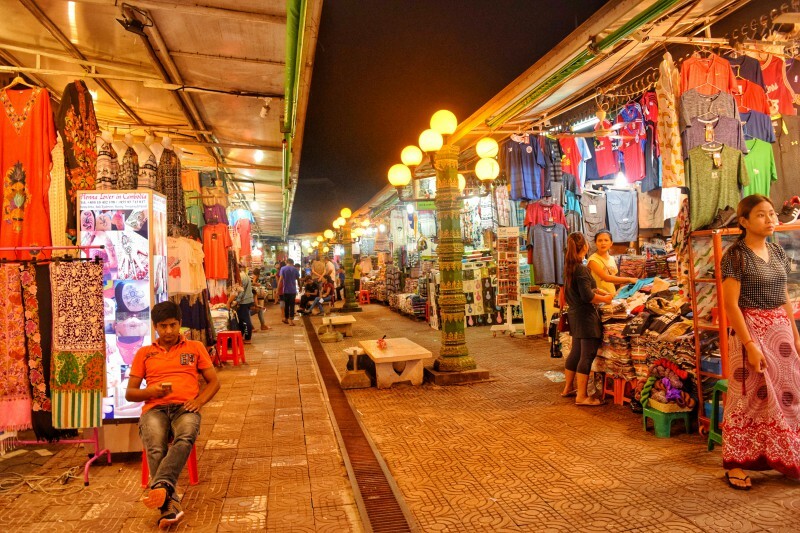 However that’s not all, this city is perfect for a romantic night out as you can stroll along the Mekong river and just relax for sometime. Sihanoukville has one of the best beaches like Independence beach, Serendipity beach, Ratanak beach, and so on. Apart from being the major beach and party hub, this is the starting point to travel to many amazing islands like Koh Rong, Koh Rong Sanloeum, Song Sa, etc. You will find a lot of amazing places to eat here and at night, you will find different types of cultural activities going on here alongside partying and firework celebration. To know more about Cambodia, check out my Cambodia itinerary. Cambodia has probably one of the easiest and the simplest visa procedures as it provides several options for people to obtain a visa. You can apply for Cambodia visa online via https://www.cambodiaonlinevisa.org/about but usually, such websites cost more than the actual visa amount. You can use this visa on mainly 4 Immigration points: Phnom Penh International Airport, Siem Reap International Airport, Bavet check post(Vietnam) and Poipet(Thailand). An e-visa will cost you around 80 USD (4800 – 5600 INR), much more than a normal visa from embassy or visa on arrival. Most countries can get Cambodia Visa on Arrival by providing a passport sized photograph and a valid Passport. The Cambodia Visa costs around 30 USD (1800-2000 INR) and you just need to wait for 5 minutes to get your 30-day visa for Cambodia. You can later get this visa extended by the immigration office or the Cambodian embassy. Except for citizens of Algeria, Afghanistan, Bangladesh, Iran, Iraq, Nigeria, Pakistan, Saudi Arabia, Sri Lanka and Sudan, all other countries are eligible for visa on arrival. Citizens of these countries need to get a Cambodia visa in advance via embassy or through an online portal. You can just apply for a Cambodia visa through the embassy and your visa is most likely to get processed in 3-5 days. There are VFS centers in most major cities which will help you in getting a Cambodia visa. For more information on Visas, check out http://www.lonelyplanet.com/cambodia/visas. 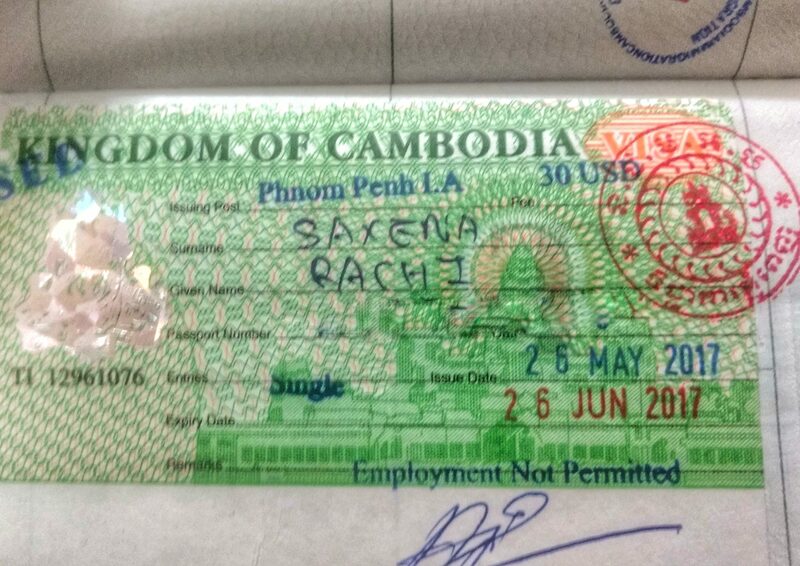 Note: Cambodia Visa for Indians can be availed On Arrival so don’t fret too much about it. Just take your passport, photograph, and 30 USD and you are good to go. 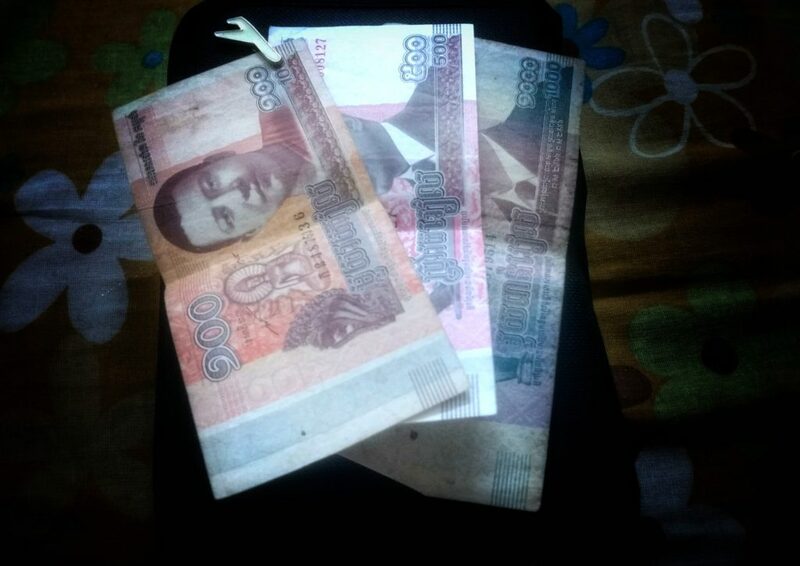 Cambodia uses majorly two currencies: Cambodian Riel and US Dollars. 1 USD is roughly equal to 4000-4500 Cambodian Riel and both of these currencies are widely accepted across the whole country. You also need to buy a local sim to make calls and use the internet package. You will find many good sim card companies outside the airport which cost around 5 USD for a 10-15 days sim plan. Wondering how you can get the local currency? Well, you have a couple of options to get your money converted into USD and Cambodian Riel. You can mostly get your currency exchanged into USD by using a forex-selling company and get the USD delivered at your doorstep. I used Bookmyforex.com to get my money changed into USD. There are many such websites so make sure you check a few sites before placing your order. You can also try getting your money converted into USD at your home airport but don’t expect to get it changed in Cambodia because they accept only a handful of currencies for conversion and INR is not one of them. So, you will need to get your money converted into USD at your home country’s airport and then get some USD converted into Riel at Cambodia’s airport. The previous method is a tedious one and will cost you more conversion charges so ATM is the best option to get money without paying too much service tax. Just get a visa card and use it in any ATM that accepts Visa cards. This is one of the best and easiest ways to get the local currency and Cambodian ATMs provide you the option of withdrawing your money in either USD or Riel form. It is easy enough to reach Cambodia if you plan well in advance but the cost and the time taken would depend on your starting point. If you are coming from Thailand or Vietnam, then you can just book a bus and reach this beautiful country in a night’s journey. But if you are coming from a little far off places like India, U.S, England, etc. then you might need to book your flight tickets well in advance for a cheap travel. There are 2 International airports in Cambodia: Siem Reap Airport and Phnom Penh Airport. While you would find flights to both these places from most of the countries, it is easier and cheaper to get a flight to Phnom Penh as it is the capital city. A roundtrip journey to Phnom Penh would cost you around 16k INR while a round trip to Siem Reap would cost you around 20k INR. As I said earlier, one can take a bus from Thailand or Vietnam to reach Cambodia in a single night’s journey and it won’t cost you more than USD 10(600-700 INR). You can also get the visa at these bus checkpoints for Cambodia. Now, depending on where you start from, you can either reach Siem Reap from Thailand or Phnom Penh from Vietnam. Buses are the best and the cheapest mode of transportation. Once you have entered Cambodia, you will find that traveling in Cambodia is pretty easy and cheap, especially via buses. You will find a good bus network here for most major cities like Siem Reap, Sihanoukville, Phnom Penh, etc. and all these journeys take around 8 – 12 hours at the most. The cost usually fluctuates between USD 7(450-550 INR) to USD 15(900 – 1000 INR) depending on how far the two places are and how you are booking your bus tickets. I used Camboticket and Bookmebus websites to book my bus tickets and it cost me less than the actual fare. Although I didn’t have time to try the train and there is also not a huge rail network in Cambodia yet, I did find that it is quicker and cheap to take a train from Phnom Penh to Sihanoukville. For more information on trains, you can check https://www.seat61.com/Cambodia.html. You can also opt for ferry services in Cambodia to reach from Phnom Penh to Siem Reap but it would be costly. It would take only 4-6 hours to reach but would cost around USD 18(1100-1200 INR) – USD 25(1500-1600 INR). You can also take flights from Siem Reap to Phnom Penh or Sihanoukville and reach your destination quickly. While flight is a quick way to reach, it will be costly than other options and it would only connect a couple of cities together so for the rest of the country, you still need to choose other modes of transportation. There aren’t many buses inside the cities like Siem Reap, Sihanoukville, etc. that you can use to travel around. Phnom Penh has local buses but the routes are fixed and if you want to visit the Killing Fields via bus, you would end up taking a tuk-tuk for the remaining 4-5 km or you will have to walk. Personally, I feel that renting a bike is the best way to travel in a city in Cambodia. You save a lot of time and money as a bike would cost you 15 USD (900-1000 INR) for the entire day. If you are traveling solo, this might not be a cheap option but it would surely help you reach places quickly. For me, cycling was the best option as I don’t have a license for riding a bike or know how to ride a bike plus it is way cheaper than other modes of transportation. It costs just 2 – 5 USD (150 – 350 INR) to rent a cycle for a day and you don’t have to worry about petrol or anything. Note: Please keep in mind that cycle would take you longer to reach a destination and would tire you a lot. Another efficient yet costly way to travel around is by hiring a tuk-tuk for a day. Usually, a tuk-tuk costs you 18 – 25 USD (1100 – 1600 INR) for the whole journey and would take you a slightly less amount than a cycle. It is a good option if you are 2 or more people as you can share the cost but if you are traveling solo, then it could really burn a hole in your pocket. 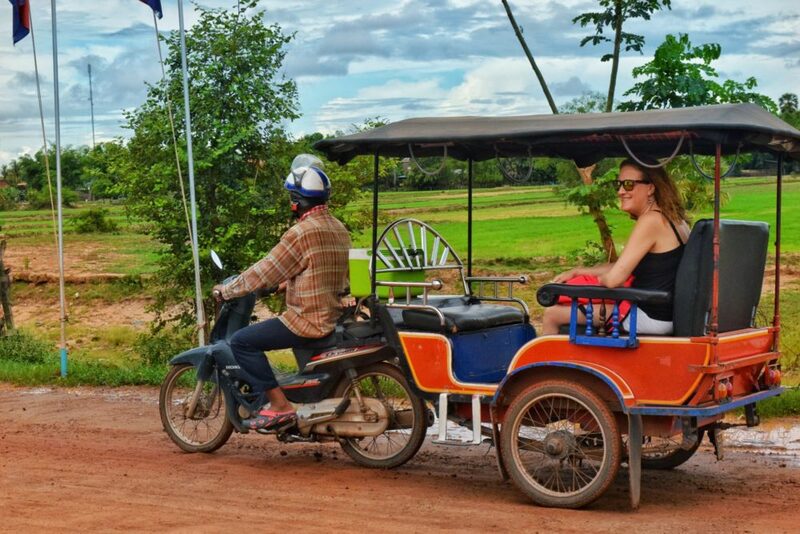 You will find a lot of moto-taxis in Cambodia where you can travel to your destination in comparatively cheaper amount and you can reach your destination quicker too but haggling with the moto drivers is a tedious task so only opt for it if you are good at haggling. Cambodia is famous for its Khmer cuisine and you will find here several delicious and unique dishes to try. 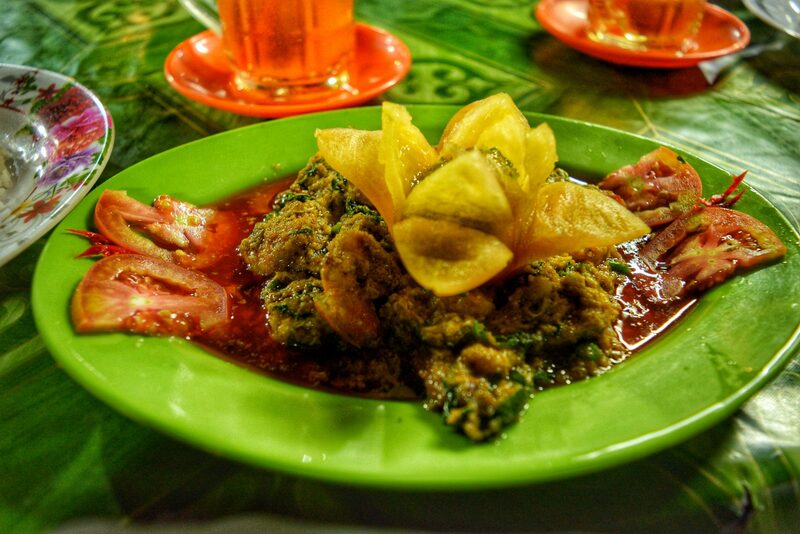 If you love eating, then you have to try the Khmer cuisine. 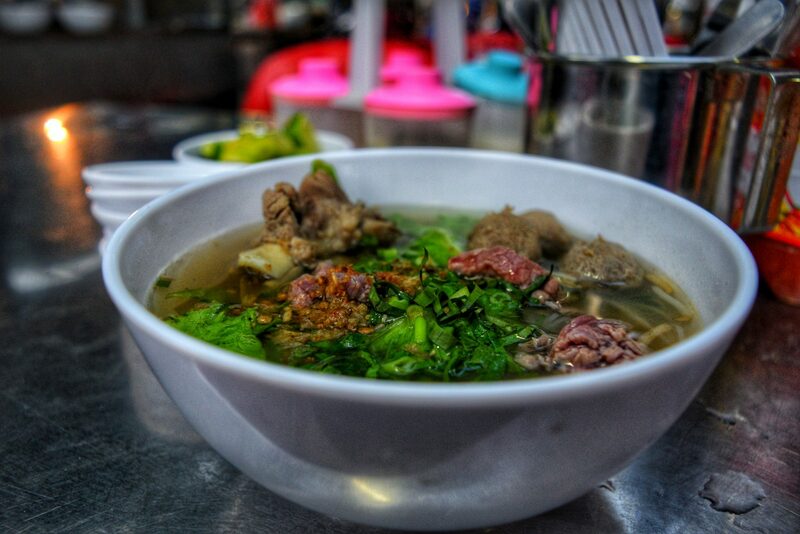 There are a ton of amazing dishes like Amok, Kuy Teav, Khor, Samlor, and so on. The street food here is amazing and if you haven’t ever tried seafood before, then this is the perfect place to experiment. Apart from being delicious, the food is really cheap and you can easily have your entire day’s meal in just USD 4-5 (200-300 INR). You get here pancakes for 0.5 USD (35 – 40 INR) which are delicious and amazing to look at and different kind of sandwiches and rice dishes to eat. However, if you are a vegetarian then you might have a slight difficulty in finding vegetarian dishes. The best part about Cambodia is that the stay options are really cheap. You can easily find a hostel to stay at for just 2-3 USD (120 – 200 INR) per night. Trust me, my entire stay cost for 10 days just came out to be 30 USD. You can use booking.com or hostelworld app to find hostels. Otherwise you can also search for a hostel once you reach the city, there are many hostels to choose from. 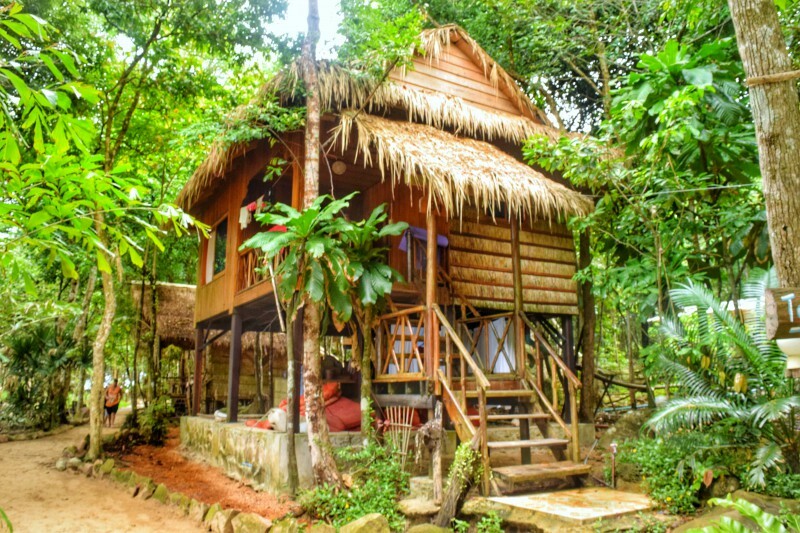 You can also stay in tree houses and bamboo houses in Koh Rong. And learn more about Cambodia’s culture while helping out the locals. 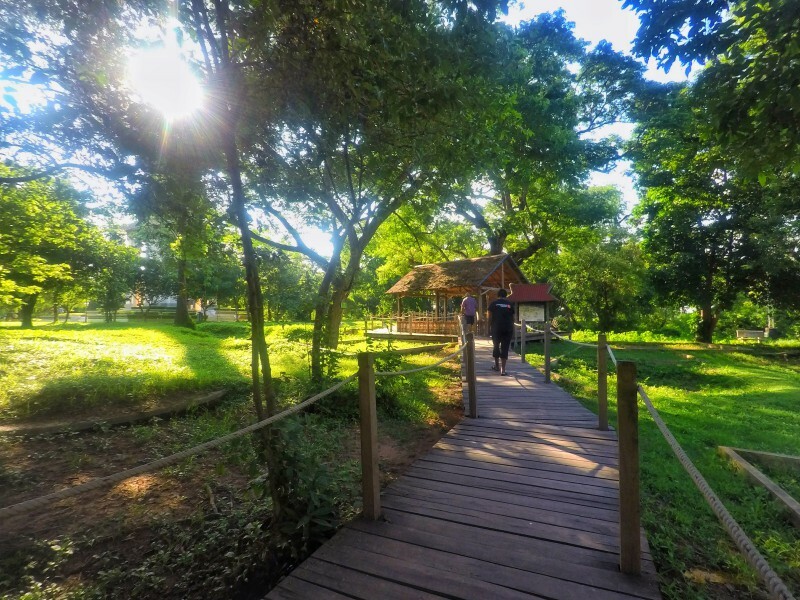 Overall, Cambodia is a budget-friendly country and you can easily stay there for 2 weeks in just 300 USD . You will find that stay and food is cheap her. And many places serve you alcohol for just 0.5-1 USD (30 – 60 INR) too. The only high expense would be the entry tickets to famous sights like Angkor Wat, Killing Fields, Royal Palace(Phnom Penh), and so on. Angkor Wat costs around 37 USD(2300 – 2500 INR) for 1 day, 62 USD(4000 – 4100 INR) for 3 days and 72 USD(4700-4900 INR) if you want a 7-days pass. 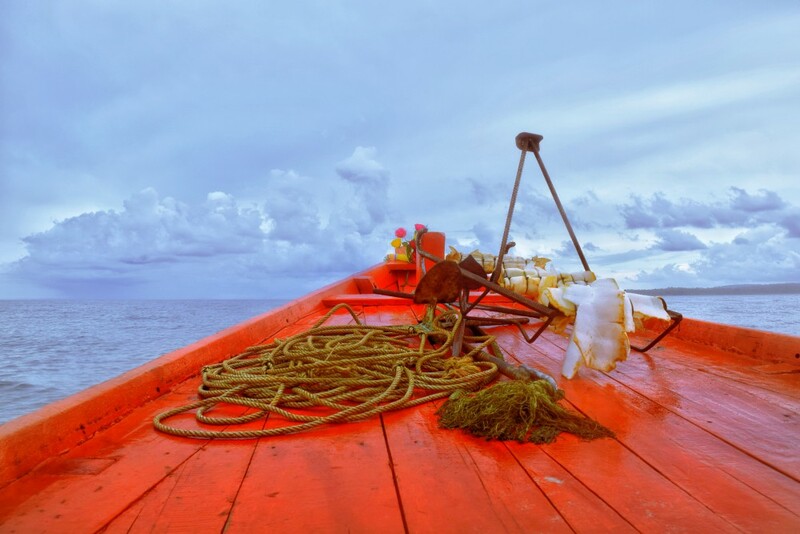 Make sure that when you are in Sihanoukville or Koh Rong that you don’t miss out on the full-day island hopping tours. They are amazing and allow you to meet other fellow travelers while enjoying the beauty of the sea. You will also see phytoplanktons in Koh Rong which glow when you move the water and are really a sight to behold. You will find many shops in Koh Rong which provide you with an amazing tour package for doing this. Traveling might cost you a little too depending on your mode of transportation. But if you are like me, then you will be able to save a lot there too. Shopping is cheap here and you get really amazing shawls, skirts, etc. for just 5-10 USD(300 – 600 INR) over here. Please note: If you buy a water bottle, snacks, etc. from a minimart, you will end up paying double the price of the item. So, always buy these things from a local shop. Also, avoid buying drinks and food near the tourist points as the prices are inflated here. Always take care of your belongings while traveling in Cambodia. There are a lot of pickpocketers and bag snatchers who can attempt to steal your bag on a crowded road. Always keep your passport safely stored in a locker to avoid losing it. Keep extra locks because many places only provide you with a locker and no lock to secure it. Keep Cambodian change to pay at most places. Also, always ensure that your notes aren’t damaged else no one would accept it. Always bargain on the Tuk Tuk price before you actually hire it. Keep water bottle and snacks with you. There are many places here where you might not find a single shop in sight. Lastly, enjoy yourself and indulge a little in the Khmer culture and traditions! You will definitely fall in love with this place. Did you like our guide to Cambodia? Then, check out our other article on the benefits of Solo traveling and how to stay safe and careful while going on a solo travel at 8 Essential Tips for Traveling Solo Internationally. Wanted to know one thing like carry forex card with USD loaded or Should I carry Cash. Is there any cross currency charges ?